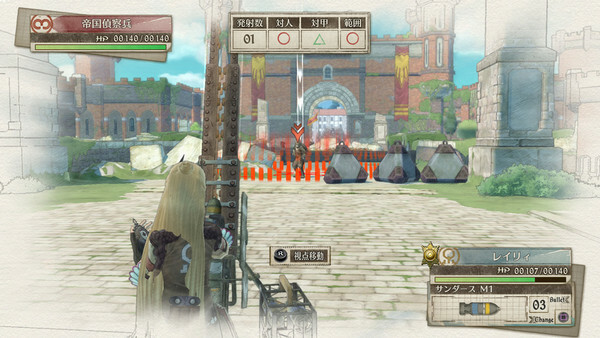 Valkyria Chronicles is a series made up of contrasting themes. While the game might boast a stunning storybook aesthetic, they levy themselves in difficult, challenging and sometimes horrifying scenarios. Death, suffering and the greater guise of war itself are commonplace and it’s sometimes shocking to be playing through something that looks like a high-school anime while dealing with situations as grave as people being hung for selling parts on the black market. 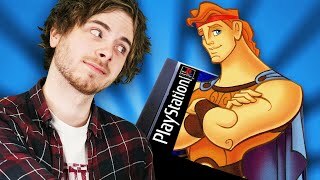 The fourth game in the series revisits the same tale told in the first game but this time ups the scale immensely. 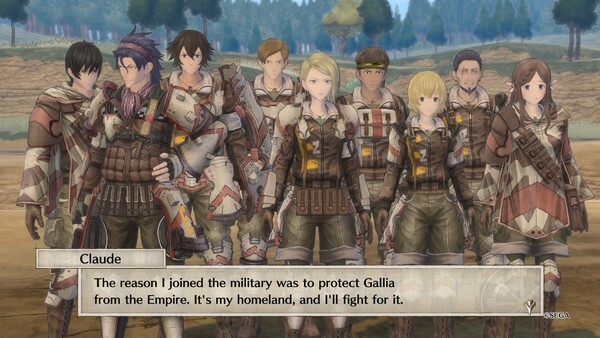 Whereas in the original title you focused on a small battle to liberate the fictional area of Galia, here you’re trying to win the war against the imperial forces outright. As interesting a character as Claude is, it's really the supporting cast that steal the show. For the first time in the series, there is a real focus on squad rotation; while you can get through battles using the same members again and again, you quickly learn that by using different members you build up friendships within the team. This in turn leads to new side stories being unlocked that tell small scenarios and give each member of the team depth. This is a fact that makes it all the more saddening if they are to die in battle, as yes: there’s permadeath. 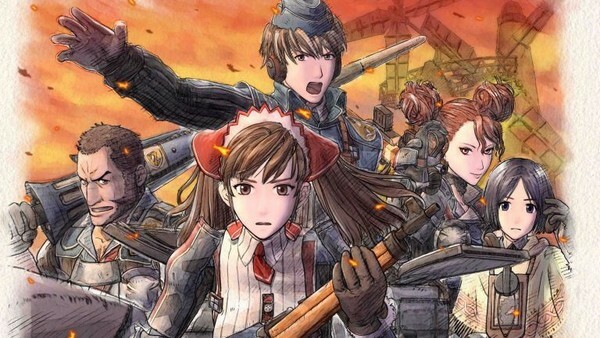 When it comes to gameplay, it might not be apparent to some what has actually changed within Valkyria 4. It’s still turn and time based, the shooting feels smooth (and nerve wracking) and you’re able to outfit your crew with different weapons for different scenarios. For example, the surly and gruff Godwin wields a rifle that while being a bit lower in accuracy, is able to decrease the defence of any enemy hit with it, allowing follow up shots to punch through. Claude is different to the regular troops as he takes control of the Hafen, an upgradeable tank which can rip through infantry and other vehicles like butter (though it only takes one well placed shot to its rear to destroy it!). Fans of the series will embrace this familiarity but the real question is: what’s new? The improvements are minor, but provide a much wider range of ways to tackle challenges. The ability to call in orders to boost, rescue or heal allies in exchange for the limited Command Point resource you get each round means that mistakes or surprises can be dealt with on the fly. You’re also given access to an APC driven by the wonderfully weird Dan, which allows you to quickly transport squad members about the battlefield - and with the size of some of these maps, you’ll need the extra range. You can also activate a one-per-turn SP action which allows specific members of the team to take two other units with them on their turns, meaning that if used wisely, you can travel huge distances and clear threats well before the main bulk of your squad reaches them. But the most standout new feature is easily the Grenadier class, which offers the ability to devastate infantry, emplacements and tanks alike while also not requiring line of site to do it. They are brilliant additions to the main game, and more often than not their explosives will prove a saving throw. However, before you start thinking that you’ll be swanning through missions with this new firepower, the Imps also have access to this class and many, MANY more weapons of death. Missions are incredibly varied and some can take over an hour to complete; you’ll take your squad through freezing mountains that can succumb to avalanches, naval battles which offer a completely different take on the combat, and retreats through burning encampments as you battle just to survive. It isn't really until the game's latter third that enemies pose a challenge, but when they are on the ball they can wipe your units in a single turn. As a result, it feels like the most well rounded entry to the series because of the multitude of mission types, and the slow, steady difficulty curve. Outside of the main narrative are the previously mentioned squad stories and skirmishes; completing either of these rewards you with exp and money which can be used to improve your troops, learn new orders, upgrade your vehicles and even unlock hidden potentials within each class. There’s a lot going on and there’s a brilliant gameplay loop which rewards the player at every turn; you’re always able to do something the moment you’ve passed a mission, and it creates the feeling that you’re always improving and bonding with your squad. There are inconsistencies though, and while war is certainly not hell, there are moments which are quite jarring. Take some of the story twists, which bandy between witnessing your soldiers freeze to death and some of them lusting after women in the main camp. The dichotomy is not bad by any stretch but it can come across as a little confused at times. The emotion is right when it needs to be, and while this tale might feel a little less personal in places because of its wider approach, it knows when to tug at the heartstrings. Perhaps the biggest complaint are twists that come mid-battle, often leaving the squad struggling to fight off new threats that were impossible to foretell. It's by no means a game-breaker, but losing 45 minutes play after dominating the battlefield is obviously a tough pill to take. Valkyria Chronicles 4 is a strong addition to the series and one that newcomers and stalwart fans alike can embrace. It offers a larger sense of variety than the previous console outing and its huge replayability, customisation and hidden secrets are more than enough to see you re-enlist time and time again. Jules Gill hasn&apos;t written a bio just yet, but if they had... it would appear here.